44806 Sunny counting. The temperatures here are breaking records: more than 18 degrees in February. That is unseen. I think there's somewhere in the UK that hit 20 C yesterday! 44813 My number is higher than the number of spectators any club stadium in my country can welcome. Only the old national stadium has that capacity. 44 815 --- On the National Arena in Bucharest !!! !!!!! 44817 Then you'll have to live a century or two. And 44 818 Too !!!! 44, 820 - Some late-night counting. 44, 822 - Rainy Monday counting. 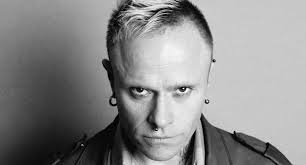 44823 - Sad counting after hearing of the death of Keith Flint. Rest in peace you twisted firestarter. 44, 824 - Counting while I try and find a story idea for my assignment. 44 825 evening all. Still feeling tired as not been sleeping to well with this cough keeping me awake at night. 44, 827 - Back to counting after a day out yesterday. 44828 Daily counting is adviced.